This recorded Lab Informatics Tutorial series is designed as a management level view of laboratory systems and is appropriate for anyone planning, reviewing, or approving the acquisition of laboratory informatics. A background in science is not necessary to follow the presented material. Its purpose is to provide you with an understanding of how these technologies (Laboratory Information Management Systems, Electronic Laboratory Notebooks, Scientific Data Management Systems, Laboratory Execution Systems, Instrument Data Systems, and supporting technologies ) can be used to support/improve your labs operations, and the considerations that need to be taken into account before they are purchased. There's been plenty of talk about bid data management over the past few years, particularly in the domain of software-based management of said data. But what of the IT infrastructure, particularly in the world of heathcare, where file size and number continue to grow? 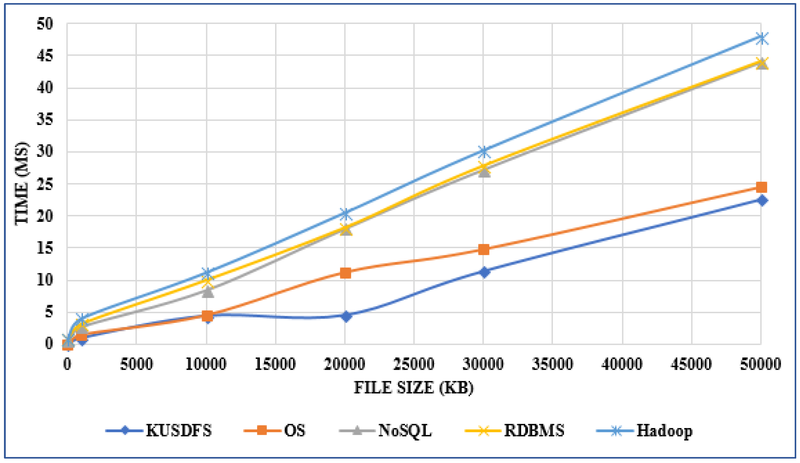 Ergüzen and Ünver describe in this 2018 paper published in Applied Sciences how they researched and developed a modern file system structure that handles the intricacies of big data in healthcare for Kırıkkale University. After discussing big data problems and common architectures, the duo lay out the various puzzle pieces that make up their file system, reporting system performance "97% better than the NoSQL system, 80% better than the RDBMS, and 74% better than the operating system" via improvements in read-write performance, robustness, load balancing, integration, security, and scalability. In this 2018 paper published in the International Journal of Interactive Multimedia and Artificial Intelligence , Baldominos et al. present DataCare, a scalable healthcare data management solution built on a big data architecture to improve healthcare performance, including patient outcomes. Designed to provide "a complete architecture to retrieve data from sensors installed in the healthcare center, process and analyze it, and finally obtain relevant information, which is displayed in a user-friendly dashboard," the researchers explain the architecture and how it was evaluated in a real-life facility in Madrid, Spain. They also explain how key performance indicators are affected and how the system could be improved in the future. Any entity that stores biological samples can be called a Biobank. However, the term ‘Biobank’ is most commonly used for entities that store biological specimens on a large scale to provide them as a service for internal or external entities like researchers. Biobanks have to offer unbiased and high-quality samples using well-designed and documented procedures. This ensures a biological specimen is kept in a controlled environment and guarantees the ethical aspect of sample collection. FDA Guidance for Good Clinical Practice (GCP) is an international quality standard defined by the International Council for Harmonization (ICH) that governs ethical and scientific considerations for designing, conducting, recording and reporting trials involving human subjects. Compliance with FDA Guidance for GCP in clinical trials helps to assure that the rights, well-being and safety of trial participants are protected and that the data generated in the trial is credible. Due to the complex processes and technologies utilized in labs, and the many different aspects of the enterprise that laboratory systems touch, success in laboratory information management system (LIMS) projects can be difficult to achieve. Due to technological advances in laboratory instruments and higher throughput processes, data volumes in modern analytical laboratories have increased dramatically over the last several decades. While this increased data volume presents the opportunity to improve innovation and enable timely and effective business decisions, it also presents significant data management and processing challenges. In order to meet the challenge of turning this data into knowledge, laboratories are looking to automate and integrate laboratory operations and processes as much as possible in order to provide digital continuity throughout the product lifecycle. A major cover-up of the Hunters Point shipyard was the falsification of asbestos tests by Test America formerly owned by H.I.G. Capital whose owners were also bundling money to Hillary Clinton. They fired Test America Quality Assurance Manager Michael Madry who blew the whistle. 06/07/2018 - For a GxP system, How to conduct Risk impact determination? Who will drive this exercise? Who are all to be consulted? Is there anything like Risk level VsTest level Matrix? 06/04/2018 - Microsoft buys Github. What are your thoughts? The City of Grand Junction, Colorado, Utilities Department (City) is soliciting Information for a Laboratory Inventory Management System (LIMS). The City will evaluate responses to this RFI to establish budgetary and functional requirements for an anticipated future procurement. Laboratory Data System using a Software-as-a-Service (SaaS) model for the Manatee County, Florida Parks and Natural Resources Environmental Laboratory.